WIWT : Baju kurung | escaped. Taking a break from packing and unpacking our 2-years worth of stuff to post this WIWT entry. Yes, we're moving to a new house! The apartment we've lived in from the start of our marriage is belonged to a businessman, whom we regard as a parent. He's a nice person and we loved living there (Rayyan practically born there and it was the house he grew up in) but due to a certain circumstances, we have to move on to a new house after living there for 2 years. So this WIWT is basically the last WIWT I took in the apartment. 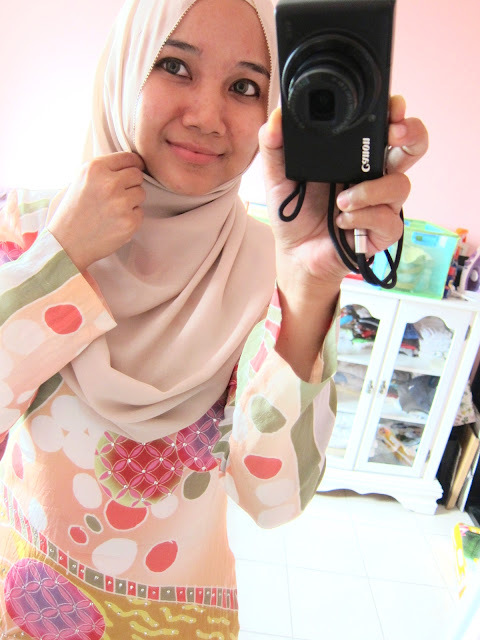 It was the day I decided to wear baju kurung without much thought. The weekend before, I realized most of my stuff was already packed for moving so there weren't much choice left. And I realized that it's been ages since I last wore baju kurung to work. Granted, there aren't that many of them so I'm quite picky - but this baju kurung is special. The batik material was bought in Terengganu, during one of the trips we made during the early course of our marriage. I was excited at the fact that I married a pantai timur guy because that means many many trips to the east coast where I can get endless supply of batik! 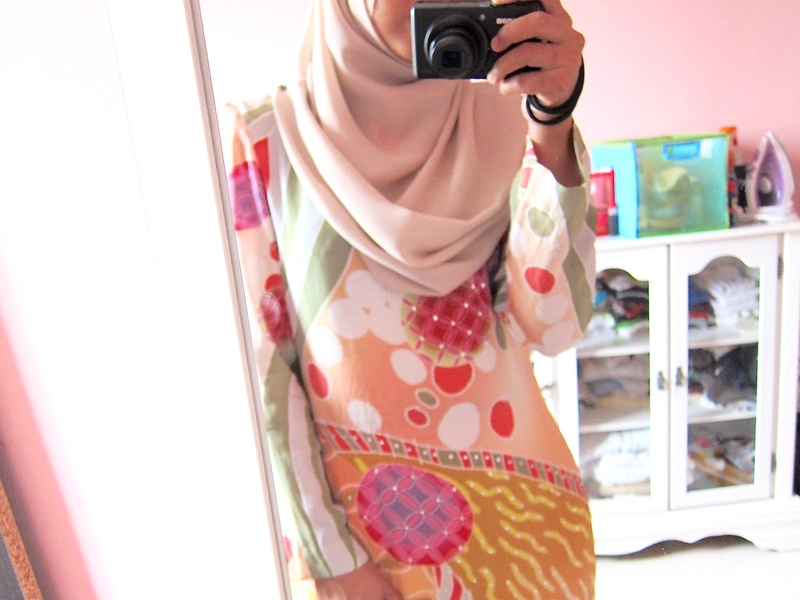 Turned them into baju kurung - and this is one of them. Love this one especially because it reminded me of that excitement. At the moment, I'm still unpacking our stuff at the new house (last night was the first night spent here) and rearranging the furnitures. The new house is bigger than the apartment and it's got stairs which I dread - there's a reason I prefer condos/apartments sobs.